Who are you most excited for? There are a lot of things to look forward to in the coming New Year, not least of all the incredible line up of tours headed our way! From the old school artists rocking out the classics, to the new hits you can’t help but sing along to, there’s something for everyone no matter your taste in music. KISS will be launching their ‘End of the Road’ tour in 2019, appropriately named as the tour will be their last ever! The bands’ career is an epic story that kicked off an era of rock ‘n’ roll, and their final tour is guaranteed to showcase their iconic larger-than-life performance style. This will be the ultimate celebration for those who’ve seen us and a last chance for those who haven’t. KISS Army, we’re saying goodbye on our final tour with out biggest show yet and we’ll go out the same way we came in… Unapologetic and Unstoppable. KISS will be heading to the Qudos Bank Arena on Tuesday 26th November. The Grammy and ARIA Award winner will return early in the year for his ‘Graffiti U World Tour Australia’, featuring Julia Michaels. It’s the singer’s first tour in over 2 years, and the set list of new and old hits is sure to get you on your feet for a night you won’t forget! Keith Urban will play at Newcastle Entertainment Centre on January 23rd. The ICC Sydney Theatre at Darling Harbour will welcome one of Britain music’s most iconic names in March. Bryan Ferry will showcase his newest album and sing the classics we all know and love on his tour Down Under. This is a must-see show for all music lovers! Our Aussie pop princess Kylie is bringing her Golden Tour to ICC Sydney Theatre next March. It’s her first line up of shows since 2015’s Kiss Me Once Tour, and promises to be a “unique and captivating” performance, “connecting all Kylie’s hits into one glorious story”. Rock legend Slash and his band Myles Kennendy & The Conspirators are bringing their new album ‘Living The Dream’ to Qudos Bank Arena on the 28th January for a one night only intense, high energy performance! The Eagles World Tour is soaring into the Qudos Bank Arena in March with their smash 70s hits we all know and love! The band has sold over 150 million albums, scored #1 albums and topped the singles charts 5 times. As the Eagles’ appeal continues to transcend both generation and genre, don’t miss the opportunity to witness Eagles’ unmistakable West Coast harmonies and unparalleled song writing talent come alive as they return to Australia! Summer is looking to be hot – RED HOT – in 2019 with the Red Hot Chili Peppers’ highly-anticipated return after 12 years! As one of the most successful acts in rock history, you’ll want to grab your tickets early because they’re sure to get snatched up fast. Red Hot Chili Peppers will be playing at Qudos Bank Arena on the 19th February. This full-scale theatrical production featuring over 2 hours of live music with replica costumes, theatrical lighting and effects, and of course, dancing! Clear your schedule because it’s coming to Civic Theatre Newcastle and Orange Civic Theatre in April. British pop group Bananarama will hit the Enmore Theatre in February to perform their new set off the back of this year’s Reunion Tour. As Guinness World Records all-female band with the most chart entries in the world, you do NOT want to miss this unforgettable show! 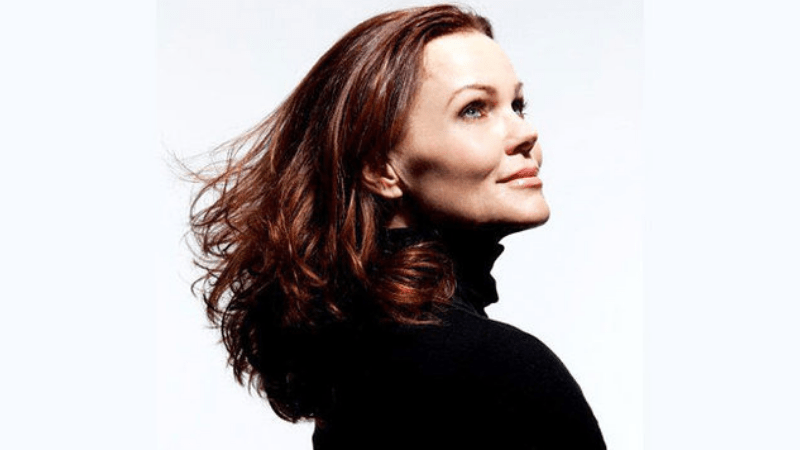 Belinda Carlisle will be celebrating 30 years of her album ‘Runaway Horses’ with a special concert series that will hit Enmore Theatre in February. The concert will showcase her smash hits and new music in a line-up that will have you believing that “Heaven Is A Place On Earth”. Rock icon Bryan Adams will bring his signature rock ‘n’ roll style to NSW next year with a show that’s sure to take you back to the “Summer of ’69”. You can catch Bryan Adams at ICC Sydney Theatre on March 24th. Catch Maroon 5 at Qudos Bank Arena on February 21st when they return with special guest CXLOE on their ‘Red Pill Blues World Tour’. The band is one of pop music’s most enduring artists and biggest acts, with 3 Grammy Awards under their belt, and having been named “the most successful group in the history of the Billboard Hot 100”. Who doesn’t remember singing along to the iconic Nickelback hits like ‘How You Remind Me’ and ‘Photograph’? Well in February you’ll get the chance to hear the band rock out their latest music and biggest hits at Qudos Bank Arena! The international musical legend Phil Collins is bringing his tour ‘Not Dead Yet’ to Qudos Bank Arena for 3 nights in January. With a career that has lasted over 50 years as a solo artist and as a member of Genesis, Phil Collins is a must-see live performer. Don’t miss out! All-in-all 2019 is set to be a HUGE year for live music here in New South Wales, and we can’t wait for it to kick off! Which artists are you most excited to see? Let us know in the Facebook comments.